As debris neared, NASA ordered the six crew members to take shelter aboard the two Soyuz capsules, a spokesman said. 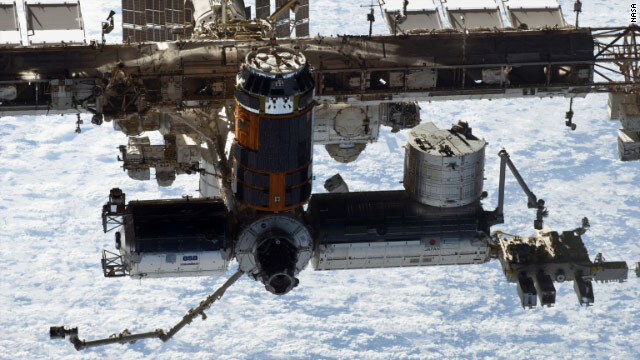 (CNN) -- Tuesday's space debris incident at the International Space Station was the "closest anything has come to the space station," NASA said Wednesday. Final calculations showed the unknown object passed the space station 1,100 feet away and its source remains a mystery, according to Kelly Humphries, a spokesman at the Johnson Space Center in Houston, Texas. When the unexpected space debris came flying close to the space station Tuesday, it prompted the station's six astronauts to take shelter inside two Soyuz capsules, NASA said. NASA does not expect any other close calls with this particular debris, said Humphries. Russia's Interfax news agency said preliminary data on "the dangerous approach" shows that the "trash" came within about 250 meters (820 feet) of the station. Officials at NASA are investigating what the debris was, NASA spokesman Joshua Buck said. By the time it was spotted, it was "too late to make an avoidance maneuver," so NASA ordered the six crew members to "shelter in place," Buck said. About 7:30 a.m. ET, the crew members climbed into the two Soyuz capsules positioned at the station. NASA determined that the debris would come closest to the station at 8:08 a.m. ET. Three minutes later, at 8:11 a.m. ET, the all-clear was sounded and astronauts were allowed to exit the capsules, Buck said. Buck described the debris as an "unknown object of unknown size."